The entire state canal system, which opened in 1825, is designated a National Historic Landmark -- meaning any repairs to old bridges have to preserve the existing elements of the span. ROCHESTER, N.Y. (AP) - New York state will embark next year on a multi-year project that will make tens of millions of dollars in repairs to aging bridges spanning the Erie Canal in western New York. The Democrat and Chronicle of Rochester reported that the Department of Transportation will spend as much as $50 million to fix 15 trusses and lift bridges located in Monroe, Orleans and Wayne counties. According to the newspaper, the spans are more than a century old, with more than half considered to be "structurally deficient" and in need of significant repair work that will disrupt traffic flow in multiple communities for months. The Democrat and Chronicle found that several of the bridges set for repairs have low sufficiency ratings. Bridges are assessed in New York state every two years and are assigned a numerical sufficiency rating on a scale of 1 to 100. Bridges rated lower than 50 are considered in need of significant fixes. While low sufficiency ratings don't mean the bridges are necessarily unsafe, it does mean the structures are in need of serious repair. "We need to preserve the structures in shape," Frank Billittier, DOT regional design engineer, told the newspaper. "The first order of business is to preserve the integrity of the canal as built." The Erie Canal makes up nearly 340 miles of the state's 450-mi. canal system, which also includes the Oswego, Champlain and Seneca-Cayuga canals. 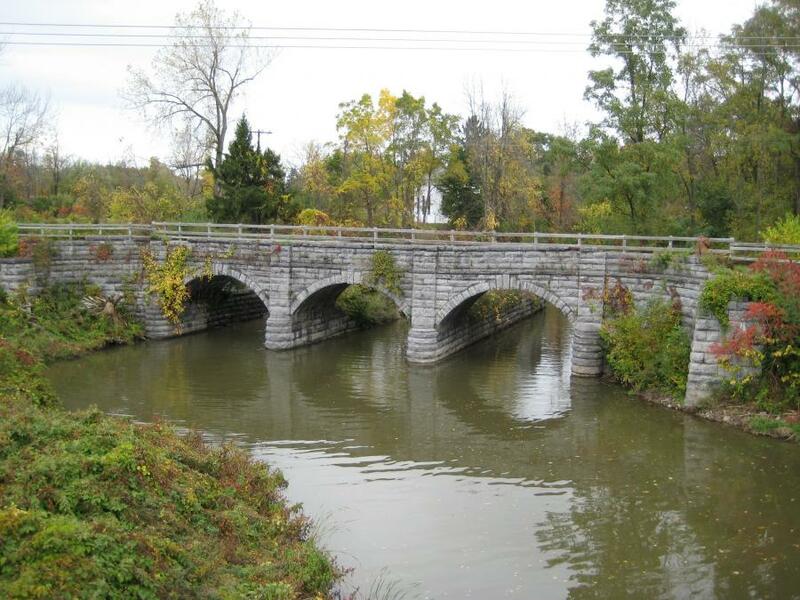 Local leaders along the contiguous three-county stretch of the Erie Canal where the bridge repairs will occur plan to hold public meetings before work begins to inform residents and business owners on various details, including detours. "The bottom line is that the bridge needs to be fixed," said Jim Bilotta, Chamber of Commerce president in Fairport, where a lift bridge will be shut down later in 2019 for what's expected to be more than a year. "And the community recognizes that and knows why it's going to take the amount of time it's going to take."